On March 18, 2015, Nuvera demonstrated the ability of its PowerTap® on-site hydrogen generator to use renewable natural gas. Using methane captured from cow manure and water, PowerTap generated high-purity hydrogen. 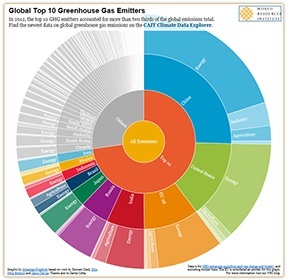 With all the news on climate change just this month – G7 agreement to decarbonization, Pope Francis’s encyclical on climate change, and a multi-country effort for post-2020 climate action – it’s time to understand the world of climate data.